Prayers and Rabbit Trails • Run Hard. Rest Well. How do I keep my mind from wandering (when I pray)? Although I am not often accused of being ADHD, when it comes to prayer, I find myself wearing the new label – highly distractible. It seems I’m not alone. Three questions seem to emerge from this one question. Is there a pattern of prayer that will help me stay focused? How can I pray for others in a focused, meaningful way? How can I nurture “Be still and know that I am God” into my prayer life? A pattern of prayer can be helpful. Some people are familiar with “The ACTS of Prayer.” A – adoration, C – confession, T – thanksgiving, S – supplication. Click here to explore the prayer pattern P.R.A.Y. At any given moment, I am aware of dozens of people and painful situations that require an army of attentive prayer warriors. I want to pray. We’re called to pray, but I can become overwhelmed by the prayer load. Here are a few things I’ve learned along the way. I don’t set myself up to fail. I have no intent (good or bad) to pray for all these people every day. I wish I did, but I don’t. 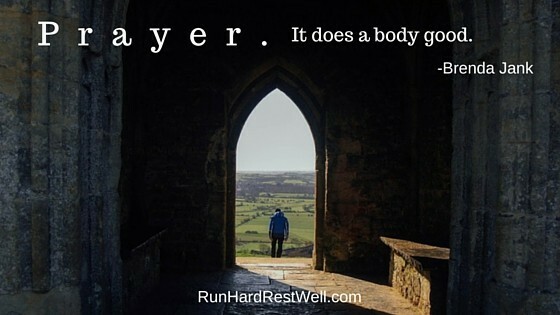 When I did, prayer became an unwelcoming, uninviting task. It was doomed before I began – AND I soon gave it up all together. Who likes doing something when you consider yourself a failure in that endeavor? Not me. I have many “prayer plans.” I need variety. Sometimes I post a map on the shower wall and highlight the city of people who need prayer. A world map takes up one wall in our bedroom walls. Pictures of missionaries frame it. The word PRAY, reminds me to do what I want to do for this Kingdom Work. Sometimes I have a weekly plan. Monday for my neighbors and town. Tuesday for our church. Wednesday for extended family. Etc. I typically pray for my husband and children while I take my morning walk. Do you know how many years I prayed for my kids, but forgot to lift my husband, Tim, up in prayer? These days, I start with Tim first. While in the car alone, I do one of two things. I mentally hit “pause.” I catch my breath. Breathe. Rejoice in His presence. Marvel at His world. Granted, I live in the country where the snow stays white, the farmers’ fields are dotted with small lakes and the sky is big and blue. Tooling down a cogged interstate, I might be more inclined to pray for my sanity, safety and the people God places in my line of vision. I pray for you and the ministry of Run Hard. Rest Well. I write letters to God. I have notebooks full of them. Sometimes I write a full blown letter. Some letters are full of bullets points and pleas. Every letter has a unique tone. Some of full of scripture. Some of pages drip with my tears. Some letters contain a single word surrounded by a page of doodles. He accepts each letter as a treasure. I ask God, and trust God to nudge me throughout the day to pray for the people He brings to mind. I trust Him with that task. It takes a lot of burden off of me. And I never say I will pray for someone unless I do it right then and there in some manner. It’s best done face-to-face, hand in hand or over the phone – but a quiet prayer from my heart works well, too. I believe there is an untapped power of “being still and knowing God.” How often do I meet God expectantly? In silence? Quieted? Still? I am learning to embrace the impact of a power-house minute of being still before God. I keep my “stillness” to a very manageable time frame. Short. It is a brief, intense, wordless communion where I am frequently taken aback by the depths of God’s love. It’s a robust acknowledgement that I have the undivided attention of the Creator of the universe. Me. Unearned. Undeserved. His eyes are upon me and His eyes are dancing. His arms are opened wide. His feet are moving fast – right for me. I am learning of the power of God’s Word and my imagination. Zephaniah 3:17 (NIV 1983) has provided a visual resting place for my wandering heart. The Lord your God is with you, he is mighty to save. He will take great delight in you, he will quiet you with his love, he will rejoice over you with singing. Placing myself very personally into the context of a Bible verse allows me to stay still and focused as God’s truth ripples through my soul. Sometimes I find myself standing in a cave upon Mount Horeb. I Kings 19:8-13. Other times I imagine myself laying in the grass watching clouds and listening to the song of a quiet, meandering stream. The protection and provision of Psalm 23’s Good Shepherd becomes mine in those moments. All mine, and I am changed. It only takes a moment. Prayer plans. Prayer. Stillness. It does a body good. Lynette — Thank you. You’re encouraging words bless me! Connie – Praise. The. Lord. He knows how to time things. He is so very good. GREAT idea. So many tools out there to bless us, our relationship with God, His Kingdom. Soak in the sun. Feet up. Heart quieted. Listen well. Enjoy every breath, every song. This week is a gift! Really good reminders to KEEP GOING in prayer. I get overwhelmed and distracted and bored sometimes. I love the tips here, especially the idea of just stilling ourselves for a few minutes and being mindful of God. Will be forwarding this post to my reunion sisters. Thank you. Suzanna — So glad this was a blessing. May the fruit be sweet! This regular time alone with the Lord is so vital. The question about being distracted while praying reminded me of a recent conversation with my husband and a young believer about this. My husband told this person that he keeps a notebook handy to quickly jot down those urgent matters that must be attended to immediately. They seem to always crop up so quickly while in prayer. ( Hmmm, I wonder why they don’t crop up like that when I’m looking at social media? )He can then continue to focus on what is important, knowing he will remember the urgent things later. It makes sense to me, so now I am implementing his plan. Thank you Brenda. This is excellent. Becci – I love the passion this post has generated — and all the great ideas. Moving mountains in the Kingdom requires we’re connected to the Mountain Mover! You are connected. It makes all the difference in the world. I love to pray. I just like to sit on His lap and visit. I have set up folders on my iPad….one for each area of prayer I have committed to pray for. I write myself an email prayer for that person or thing. It keeps me focused. When I am writing the prayers, my mind doesn’t get as distracted. It works well for me. One of my folders is “people prayers” which is the assorted people I run across that need prayer, but aren’t going to be always and forever. If I run up against such an issue, and I do, I start the email and add the request. Then I save to draft awaiting the time I concentrate on that email….usually at night when things have all come through to me. Yes, if asked to pray….I pray immediately. That way I don’t forget and it doesn’t get pushed behind. Some day I don’t feel like praying. Once I make myself start, I don’t want to quit. Sometimes I just can’t pray. I refuse to feel guilty. God knows my heart and He knows how far I can push myself before I break. It works well for me. Not perfectly of course, but it works for me. Oh Betty — You have blessed me and my family again and again with your email prayers. What a beautiful, powerful way to come before the Father — focused. Alert. Attentive. You live on the front lines!